Study finds police officers no more likely to shoot black suspects. A Big New Study Says Police Officers Are No More Likely to Shoot Black Suspects. Should You Believe It? 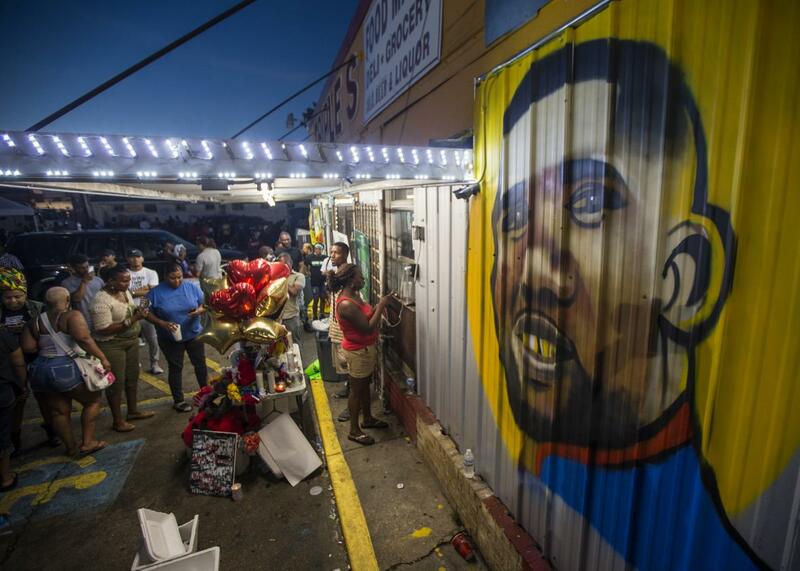 Protesters gather in front of a mural painted on the wall of the convenience store where Alton Sterling was shot and killed in Baton Rouge, Louisiana. Is getting stopped by the police really more dangerous if you’re black? A new study, which tore up several corners of the internet Monday thanks to an elaborate write-up in the New York Times, is offering a complicated answer to that exceedingly fraught question. It finds that while blacks and Hispanics are in fact more likely than whites to experience nonlethal force after being stopped by law enforcement, they are not more likely to be shot. The paper’s author, Harvard economist Roland Fryer, called it “the most surprising result of my career,” and at first glance his conclusions seem to clash with the steady beat of stories about unarmed black men being gunned down by police that has fueled the Black Lives Matter movement. And given the last week’s tragedies in Baton Rouge, Minnesota, and Dallas, the study has also landed at a really, really raw moment. So what do we make of the findings? In short, they’re interesting, but have some important limitations, which Fryer, a MacArthur genius grant winner who was the youngest black professor to ever earn tenure at Harvard, is very open about. As he puts it, “this paper takes first steps into the treacherous terrain of understanding the nature and extent of racial differences in police use of force.” It’s not meant to be the last word, nor should anybody treat it that way. Data about law enforcement’s use of force are notoriously spotty. But the Washington Post, which has created a database to track police shootings, has found that black people make up a disproportionate percentage of victims in lethal police shootings. The question is: Why? Is it because blacks are more likely to have run-ins with law enforcement? Or are police more likely to open fire on black suspects? Fryer’s findings seem to support the former theory. Much of his analysis is based on a large, random sample of arrest reports from the city of Houston, each of which his team analyzed for 300 different variables. The cases all involved a crime where, theoretically, the use of lethal force might have been legally justifiable in some circumstances—ranging from attempted murder of an officer down to resisting arrest. Based on the raw data, the researchers find that black and Hispanic suspects were in fact less likely to be shot in these confrontations than whites. After controlling for a comprehensive set of factors such as whether or not the suspect was found with a weapon, they find no statistically significant difference in the likelihood of suspects being shot based on their race. What about in other cities? Along with Houston, Fryer and his team collected police reports on more than 1,000 shootings involving officers in Los Angeles, Dallas, Austin, Orlando, Jacksonville, and four smaller counties in Florida. Of course, these documents tell us nothing about whether cops in these locales are more likely overall to use their guns on blacks than whites, given that all of the cases involve a weapon being fired. But they do tell us about the circumstances under which officers decide to employ lethal force. After controlling for all the circumstances surrounding the incidents, such as the kind of crime involved or the time of day, Fryer found that police were 47 percent less likely to shoot black suspects who hadn’t already attacked them compared with whites. And they were 43 percent less likely to fire on Hispanics, compared with whites. When it came to nonlethal force, Fryer’s results were quite different. Analyzing records from New York’s stop-and-frisk program that spanned the years 2000 to 2013, he found strong evidence that black suspects were more likely to be grabbed, pushed to the ground, handcuffed without being arrested, have a weapon drawn on them, be pepper-sprayed, or hit with a baton. This was still the case when controlling for variables such as where the stop took place and the age or gender of the suspect. An analysis of data from the national Police-Public Contact Survey, which asks a nationally representative sample of Americans about their experience with law enforcement every three years, yielded similar results. All of this opens up an obvious question: Why would police officers be more likely to get rough with black and Hispanic subjects, but not more likely to fire on them? Fryer suggests it might be a matter of stakes. In theory, police stand to lose a lot more if they shoot the wrong guy than if they give him a blow with a nightstick. But there isn’t hard proof for that narrative, and frankly, given how rarely police appear to be punished after shootings, it’s not especially satisfying. It also doesn’t explain why police officers would be more restrained about shooting minorities before being attacked, compared with whites. Are they only able to keep biases in check when holding a gun? It’s all a little puzzling. Then, of course, there are those limitations. First, much of the data on shootings comes from major cities with large black populations, which might be more sensitive about race issues in policing. This is especially striking when you consider that the most famous shooting of recent years took place in Ferguson, Missouri, a small, inner-ring suburb with its own police department. “It is possible that these departments only supplied the data because they are either enlightened or were not concerned about what the analysis would reveal,” Fryer writes. “In essence, this is equivalent to analyzing labor market discrimination on a set of firms willing to supply a researcher with their Human Resources data!” Who knows how the situation may look in other cities or towns. “Relatedly, even police departments willing to supply data may contain police officers who present contextual factors at that time of an incident in a biased manner,” Fryer adds—which is a polite researcher’s way of saying that the study relies on reports written by officers who may well be lying about what really transpired. Readers also need to be cautious about how they interpret the findings. Once again, Fryer suggests blacks and Hispanics are no more likely to be shot than whites after they’ve been stopped by police. But as a few sharp writers have noted Monday, that doesn’t tell us anything about whether people of color are being stopped excessively in the first place. And in parts of the country, they almost certainly are. In one-third white Ferguson, blacks made up 93 percent of arrests and 85 percent of traffic stops. Philando Castile was stopped by cops 52 times in 14 years before he was shot and killed by an officer in Minnesota last week. Fryer’s paper may simply be telling us that deadly bias in American policing has less to do with how cops decide to pull the trigger and more to do with how they interact with the community overall. Hopefully, researchers will be able to replicate his in-depth analysis of Houston in many more cities to give us a better sense of whether that is actually the case.